The city of Rockford has honored Michele Panozzo, an athlete with the Rockford Red Hots and the 2013 Special Olympics Illinois Athlete of the Year, with 2 road signs commemorating her achievements – one on each side of the 3200 block of North Central in front of the Barbara Olson Center of Hope where Michele works. 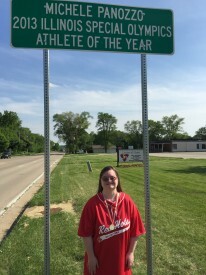 Her father and coach, Mark Panozzo, got the idea for the sign last summer after seeing various road signs for state athletic accomplishments and “I thought why not for Special Olympics?” After speaking to officials in Rockford and Springfield, he was finally directed to Jeremy Carter, Traffic Engineer for the City of Rockford. The family heard in earlier this spring that the sign was approved and they worked with the city to finalize wording. The sign was installed in May and the family will receive the signs when they do finally come down some years down the road. Read the latest news from Far West Suburban/Area 2 in the Spring newsletter. What an experience! As the premier event of Chicago Craft Beer Week, Goose Island delivered an unforgettable experience for more than 1,300 attendees. 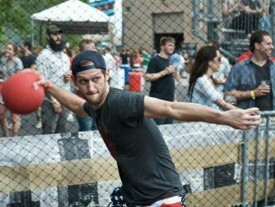 Sunday Funday was held on May 17 at the Goose Island Barrel Warehouse located in Chicago. The afternoon began when Cheap Trick guitarist, Rick Nielsen, played the National Anthem. The excitement continued when Ken Stout, Goose Island General Manager, presented Special Olympics Illinois with a check for $20,000! Kathy McLaughlin, Director of Development for Special Olympics Illinois, accepted the check and thanked Goose Island and the event guests for their generosity. Kathy later shared that the event was totally unlike others she has attended and commented on how enthusiastic guests were when it was announced that proceeds were being donated to Special Olympics Illinois. The afternoon provided plenty of food and beer tastings from 18 local breweries, but many attended to participate in or observe the annual dodgeball tournament. Co-ed teams representing 20 breweries challenged each other in an exciting competition which ended when Revolution Brewing Co. took home the title for a second year in a row. Goose Island Sunday Funday was exciting, memorable and fabulous as is their friendship, support and generosity to the athletes who participate with Special Olympics Illinois. View a recap of the event with photos. On May 13, Cathy Betar, SOILL Western/Area 4 Director, was honored as one of Monmouth’s Local Heroes. Betar was one of seven Monmouth residents, past and present, to receive this honor this spring. On May 13, students in Monmouth College’s “Local Heroes” Citizenship class presented their research on some of Monmouth’s leading women. The honorees included Betar, Karen Angotti, Grace Buchanan, Helen Bersted, Jenni Nichol, Dorothy Ricketts, and Lucy Winter at the Warren County History Museum. Draxler said the civic engagement project will provide students with an opportunity to be active citizens, conducting interviews with local residents and exploring local archives. At the same time, they will gain multimedia skills that contribute to 21st century literacies, by gathering, curating and creating materials for the digital exhibits. During Betar’s interview with the Monmouth College students, she spoke of the past 26 years that she has been with Special Olympics Illinois as the Western/Area 4 Director, her time on the Board of Directors of the Warren County YMCA and being involved in the Monmouth Rotary Club. View the complete exhibit about Betar’s contributions to the Monmouth community. 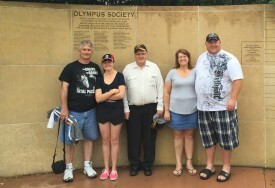 Special Olympics Australia athlete Sara Brazier was in Illinois visiting family in Washington, IL and stopped by our Special Olympics Illinois State Headquarters in Normal. We were happy to show Sara around, send her back with of Special Olympics Illinois gear and learn about her involvement with Special Olympics Australia. Sara is from Guyra, New South Wales and is a swimmer. She has competed at the Special Olympics Australia National Games as well as the Special Olympics Asia Pacific Regional Games. It was very exciting to hear about her experience as a Special Olympics athlete from a different county. Read the latest news from Eastern Prairie/Area 8 in the June newsletter. 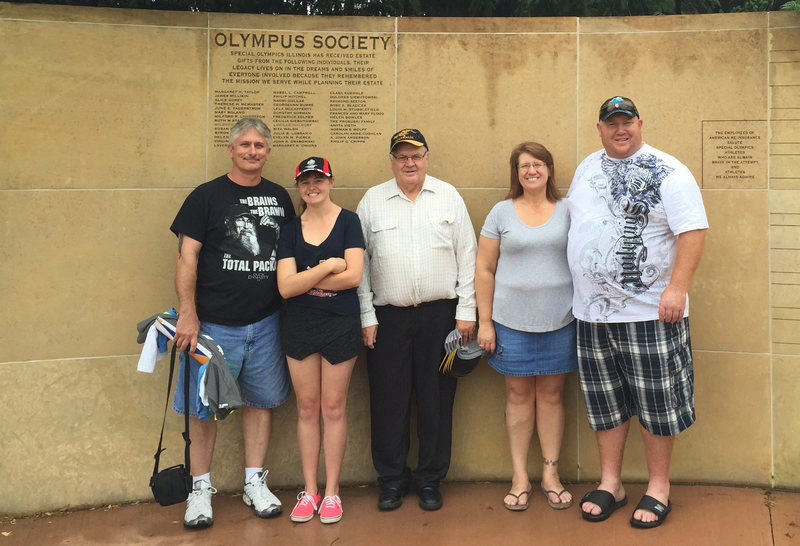 Read the latest news from East Central/Area 9 in the Summer newsletter. 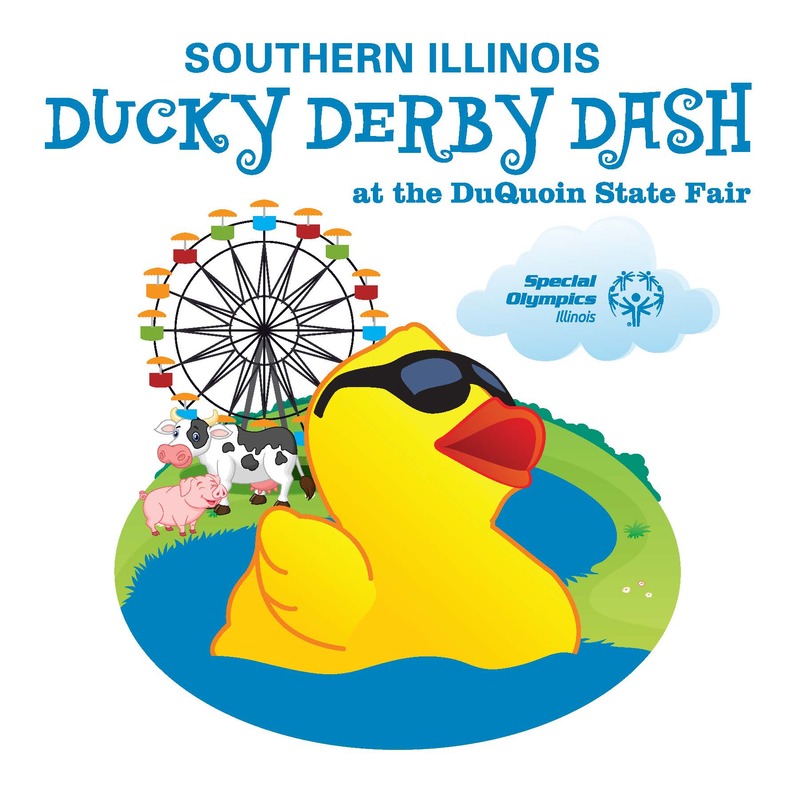 The Ducks are coming to Southern Illinois Ducky Derby Dash at 1 p.m. Sept. 6 at the DuQuoin State Fair. For every duck you adopt, you will be entered into the race giving you a chance to win one of our fabulous prizes. The more ducks you adopt, the better your chances of winning. Prizes include an all-inclusive trip for 2 to Cancun, Mexico, a NASCAR package and more to come. Each duck adoption costs $5; a Quack Pack (6) is $25; a Flock of Ducks (24) is $100 and Ducky Derby Donor (60) is $250. All proceeds benefit Special Olympics in Southern Illinois. 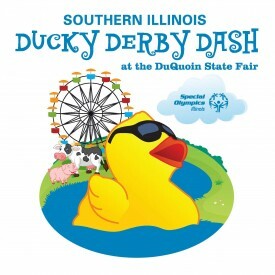 Adopt a duck online at www.duckyderbydash.com or contact Paul Melzer at 618-457-2969. Download flyer. SOILL Starved Rock/Area 16 will host the 13th Annual Silent & Live Auction to benefit Area 16 athletes on Aug. 6 at Celebrations 150 in Utica. The fundraiser will have a hot air balloon theme of “Up, Up & Away” and will feature a buffet dinner and live and silent auctions. View live auction items at 815life.com after Aug. 1. Cost to attend is $30 per person. Register online or download the invitation and RSVP by July 31. The evening is sponsored by Miller Group Charitable Trust and 815life.com.